About Us - Awareness Technologies, Inc.
Julie Staples, Ph.D. is the Research Director at the Center for Mind-Body Medicine in Washington, D.C. Dr. Staples is also an Adjunct Assistant Professor at Georgetown University School of Medicine where she teaches in the Complementary and Alternative Medicine graduate program. She received a doctorate in Cell and Molecular Biology at St. Louis University. She has been a certified Kundalini yoga teacher since 1996 and is a faculty member of the International Kundalini Yoga Therapy Professional Training Program. She has a certification in TEAM cognitive behavioral therapy through the Feeling Good Institute. 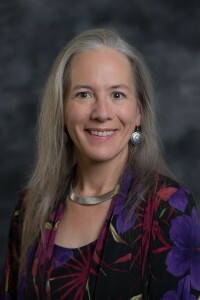 She is the author of the yoga chapter in the medical school textbook Fundamentals of Complementary and Alternative Medicine. Her book Reclaiming Life after Trauma teaches Kundalini Yoga and cognitive behavioral therapy tools to heal PTSD.